Vineyard Farms was established in August of 2010. The Vaagen family bought acreage in Cobb County, GA, and instantly started filling it up with animals! All animals at Vineyard Farms are treated as a part of our family. We take great care in the way we feed our animals, and in their living quarters. Our animals live the way animals were meant to live... free to roam, and free to forage! New test results show that pastured egg producers are kicking the commercial industry's derriere when it comes to vitamin D! Eggs from hens raised on pasture show 4 to 6 times as much vitamin D as typical supermarket eggs. Learn more: Eggciting News!!! Cattle fed on grass have a different kind of fat. It has more Omega-3 fatty acids, which are the "good kinds of fat," necessary to good health. Omega-3 come from leafy plants, such as grass. Grass fed cattle contain less Omega-6 fatty acids, the kind prevalent in corn-fed beef, which are bad for you. Grass fed beef and milk from cows that graze on pasture, instead of consuming a high level of grain, contains more conjugated linolaic acid (CLA, a fatty acid found in beef and dairy fats). 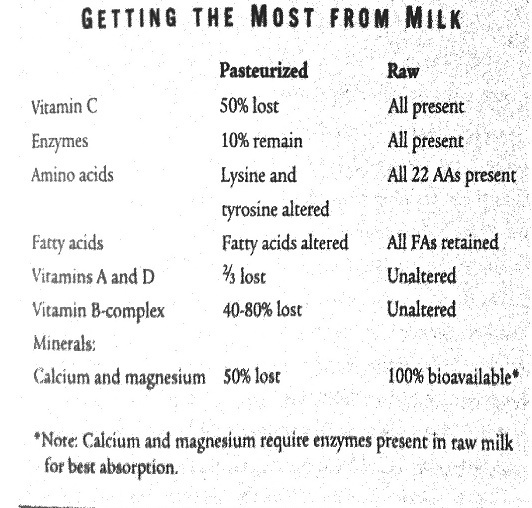 Human bodies don't produce their own CLA, but can obtain it through foods such as whole milk, butter and beef. CLA promotes healthy cell structure and regeneration. It has been shown to help reduce risk of cancer and disease. Grass fed beef is lower in fat and calories than grain fed beef. Grass fed beef is a more natural diet for humans, as we ate grass fed animals for thousands of years! Our family consumes raw milk from our goats, as well. 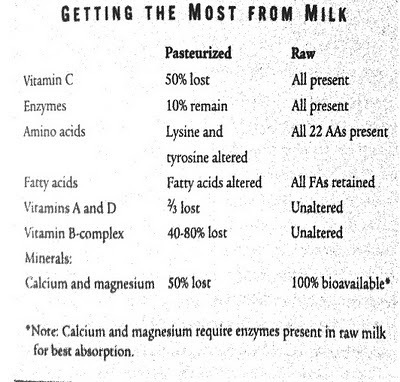 We believe stronglly in the benefits of raw milk! Georgia law states that it is illegal to sell raw milk for human consumption, so we will happily share our family's health benefits with your pets. You can purchase goat milk for pets from Vineyard Farms upon request. Just look at the chart below to see how much your pets can benefit from drinking what the Vaagen family drinks daily!